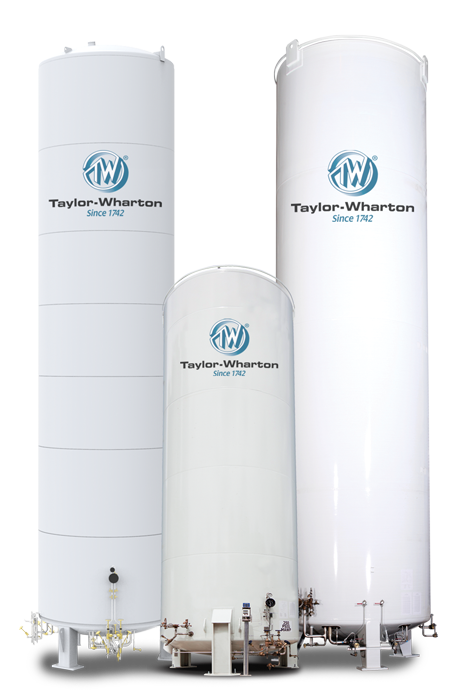 Taylor-Wharton offers a complete range of vertical and horizontal Bulk Tanks. Designed to stringent International Building Code seismic standards our vessels are easy to operate and maintain and carry a five-year vacuum warranty. Vacuum-Insulated, dual safeties, and durable polyurethane enamel topcoat are just some of the standard features that make the Taylor-Wharton product superior.